DU LLB 2019: Faculty of Law, Delhi University offers the LLB programme which is one of the most sought-after programmes. Faculty of Law is one of the most reputed faculties of DU and the candidates who are interested in taking an admission to the course will have to fill up the Application Form and submit it before the due date. The admission to DU LLB course will be on the basis of the entrance exam held by the University and only those who have submitted the Application Form will be eligible to appear for the entrance exam. It is an important part of the admission procedure which needs to be followed by the aspirants applying for the entrance examination. The candidates who will be qualifying the examination will be eligible for the admission to the course and will have to submit the admission fee for the final admission and the seat allotment. The candidates must make sure that they fulfil the eligibility criteria as prescribed and then only apply for the course. For more of the details of DU LLB 2019 go through the article mentioned below. The dates for the Delhi University Law Entrance Examination will be available in an online mode on the official website of the University. It will be important for the candidates that they are aware of the officially released schedule and appear for the entrance exam as per on the announced date by the examination conducting body. 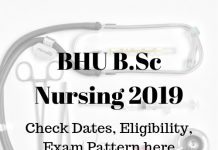 It is also advised that the candidate must download the copy of the schedule and save it so as any of the important dates of the admission procedure are not missed by the candidates. Once the officially released dates are made available by the authorities of the University, it will be updated in the article here. Meanwhile, go through the tentative schedule of DU LLB 2019 from the tabular format mentioned below. The candidates who will be applying for the entrance exam of DU LLB will have to fulfil the eligibility criteria as prescribed by the examination conducting body of the University. It is an important part of the admission procedure and the candidates will have to make sure that they are fulfilling all the prescribed eligibility in order to apply for the Law course. The desired eligibility will be mentioned in the Information Brochure which will be released by the authorities along with the Application Form of DU LLB 2019. It is advised that the section of the eligibility must be read thoroughly by the candidate. The aspirants must note that the candidates who will be found not abiding by the prescribed eligibility criteria will not be allowed to proceed with the admission procedure and their candidature will be liable for the cancellation even though they qualify the entrance exam of DU LLB 2019. We are providing the eligibility criteria to apply for DU LLB 2019 course for the upcoming session in the points below. We any new form of changes are introduced, it will be updated in the article here. The candidate must be a Graduate or a Postgraduate in any stream from the University of Delhi or any other Indian or Foreign University considered as equivalent by the University of Delhi. The candidates will have to fill the application form for DU LLB online. The availability of DU LLB Application Form 2019 will be as per on the scheduled date as announced by the examination conducting body of the University at the PG examination portal of the University. It is an important part of the admission procedure which has to be followed by the candidate in order to appear for the entrance examination of DU LLB 2019. Candidates are advised that they must be very careful while applying for the exam of DU LLB 2019 and filling the Application Form. The University will also release the Information Brochure of DU LLB 2019 along with the Application Form and it must be submitted by the candidate before the due date as mentioned in the admission schedule announced by the University. Once the Application Form will be submitted, the candidates are advised that they must get the photocopy of the complete Application Form for the future references. In DU LLB Application Form 2019, candidates have to provide the Personal Details, Academic Details, contact details and photograph and signature as per the specifications mentioned in the Information Brochure. The details which will be entered in the Application Form must be valid and correct and any form of misleading details will prohibit the candidate from proceeding for the admission procedure further and candidate’s candidature will be liable for the cancellation as the provided details will be cross-checked with the original documents at the time of the final admission. The candidates applying for the admission to the course must be noted that the final submission of the Application Form will only be after the payment of the Application Fee and the incomplete Applications will not be accepted by the examination conducting body of the University. The Admit card of DU LLB 2019 will be released by Delhi University as per on the scheduled date as announced by the examination conducting body of the University. The admit card must be downloaded online and no offline mode for accessing the admit card shall be available. The Admit card of DU LLB 2019 is a mandatory document which has to be downloaded by the candidate as per on the announced date. It will be important that the candidate is present along with the Admit card on the day of the examination. The absence of the Admit card of DU LLB 2019 will prohibit the candidate from entering the examination hall or appearing for the exam. The Admit card provides the validation to appear for the entrance exam to the candidates who have submitted the Application Form of DU LLB 2019. Once the candidate has downloaded the Admit Card of DU LLB 2019, it is advised that the candidates must go through the details mentioned on the Admit card very carefully. The information which will be mentioned on the Admit Card of DU LLB is the Name of the Candidate, Application Number, Roll Number, Course Name, Course Code, Gender, Date and the Time of the exam, centre allotted to the candidate for the exam and the important instructions to be followed by the candidate on the day of the entrance examination. After viewing the details, in case the candidate finds any form of error in the information mentioned on the Admit card, they must contact the examination conducting body immediately. The link for accessing the admit card of DU LLB 2019 will be released by the authorities of the University. The login details must be put correctly by the candidate in DU LLB Admit Card 2019 link, the Admit card will not be downloaded with the incorrect details. The candidates appearing for DU LLB Entrance Examination will have to make themselves aware of the pattern of the question paper as prescribed by the examination conducting body of the University. The question paper of DU LLB Exam will be of the objective type and the candidates will have to prepare themselves as per of the pattern of the question paper. The purpose behind the availability of DU LLB question paper is for making the process of the entrance examination easier for the aspirants and so that they are aware of the forms of the questions which will be asked in the entrance examination of DU LLB 2019. Candidates can also go through the past year question papers which will be available by the examination authorities of the University. The Answer Key of LLB exam held by Delhi University will be released in an online mode by the University administrative body. Candidates will be able to download the Answer Key of DU LLB once the entrance exam of DU LLB 2019 has been conducted by the University successfully. The purpose behind the availability of the Answer Key of DU LLB is for the candidates who have appeared for entrance exam of DU LLB 2019. With the help of the Answer Key, they will be able to get their estimated score that they will be scoring in the entrance exam of DU LLB. The University will be releasing the Answer Key as per on the scheduled date as announced in the admission schedule released by the examination conducting body of the University. The Login section of the Answer Key of DU LLB 2019 will be available on the website and the candidates will have to provide the correct credentials in order to download the officially released Answer Key of DU LLB 2019. Once the Answer Key is downloaded, the candidate will have to cross-check the answers marked by them in the exam to the answers in the question paper of DU LLB entrance exam 2019. In the end, add up the score of the correct answers marked by the candidate in the question paper of DU LLB 2019 and calculate to get the estimated score to be secured by them in the entrance examination. The candidates will also be getting an opportunity of objecting the answers in the officially released Answer key. The definite time period will be provided for it and candidates will have to submit their objections within the provided time. The Revised and the Final Answer Key will be released after that. The Results of DU LLB shall be available on the Admission Portal of DU. The results will be released in a pdf format containing the names of the candidates who appeared in the examination Roll number wise. It shall display the Score, Category Rank and combined Rank of the Candidates. The candidates who have successfully appeared for the entrance examination of DU LLB 2019 will be eligible to check the Result of DU LLB 2019. It is important for the candidates that they qualify the exam of DU LLB in order to proceed with the admission procedure further. Only the qualified candidates will be called to attend the counselling procedure for the final seat allotment to the course. The Login section of DU LLB Result 2019 will be available as per on the scheduled date as announced by the University. Once the Login section of Result will be released by the University, it will be important for the candidates that they provide the details in the Login section which is valid and correct as the incorrect information will prohibit the candidate from downloading or checking their Result or the Score Card. The Score Card or the Result of DU LLB 2019 will mention all the important details relevant for the candidates who appeared for the entrance exam. The scorecard will provide the Name of the candidate, Marks Secured by them in the exam, the total of the marks, Course Name, Course Code and the instructions to be followed by the candidate after the declaration of DU LLB Result 2019. Once the Results is available for the candidates, they must go through the details very carefully and in case if any form of error is found in the details mentioned, the candidates must contact one of the helpline number or direct contact the examination authorities immediately as it will impact the admission procedure to DU LLB further. The counselling for Delhi University LLB will be held by the examination conducting body of the University. It is an important procedure which will be held after the Result declaration of DU LLB 2019. Candidates who have successfully qualified the entrance exam will be eligible to attend the counselling. The schedule of DU LLB Counselling 2019 will be released as per on the official website of the University. It is important for the candidates that they are updated with the officially released Counselling schedule of DU LLB 2019. The updated information will be available at the PG admission portal of Delhi University. Go through the procedure of DU LLB Counselling 2019 from below. Candidates must login to their account on the PG Admission Portal and register themselves for the counselling procedure. They shall have to enter their rank, score, the preferred centre of study etc. DU shall release the rank wise counselling schedule. According to their ranks in the Merit list of the entrance exam, they shall have to visit the venue of counselling. Counselling shall take place according to the categories of the candidates. At the venue of counselling, candidates must get their documents verified to ensure they are eligible. They must then pay the admission fees within the given time and confirm their seat. Umang Bhawan (new building), Faculty of Law, Chhatra Marg, North Campus, University of Delhi. Please write to us in the comments section below if you have anything to ask. We look forward to your feedback as well.